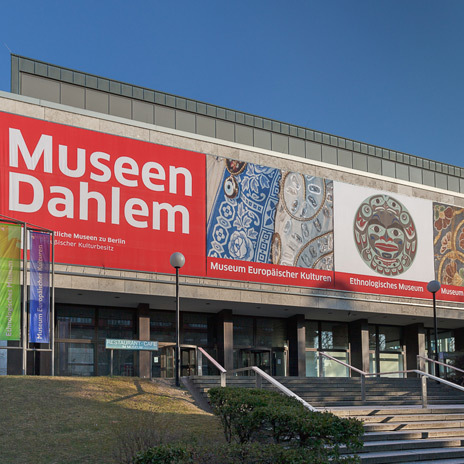 As from 18 June 2004, after nearly two years of refurbishment, the South Sea exhibition of the Ethnological Museum, with the collections 'Melanesia' and 'Australia' are once more open to the public. Built-to-scale Oceanic boats and houses bring the South Sea atmosphere to Europe, creating a true island world experience. The island world of Melanesia is characterized by an extraordinary diversity of artistic expression, fascinating with its richness of colour and variety of types. The Australian collection illustrates the collection history of the region. Focal points include seafare, architecture, and crafts such as pottery. Through different media, the exhibition also brings to life social aspects such as money and exchange, images of the body, or the relationship between humans and animals. Original prints of pictures taken by the photographer J. W. Beattie let the world of Melanesia arise from the past in front of the visitor's eyes. 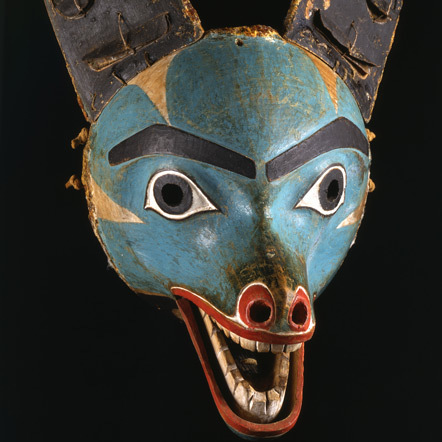 Please notice that the South Seas collection and the collection on the ethnology of North America (Indians/Native Americans) as well as the Junior Museum will be closed from January 11th 2016.